A Few Paragraphs: "To Boldly Go Where Lots of People Have Gone Before!" "To Boldly Go Where Lots of People Have Gone Before!" We've had people in space since 1961, and they've all been taking pictures with wild abandon ever since -- even in the dark! 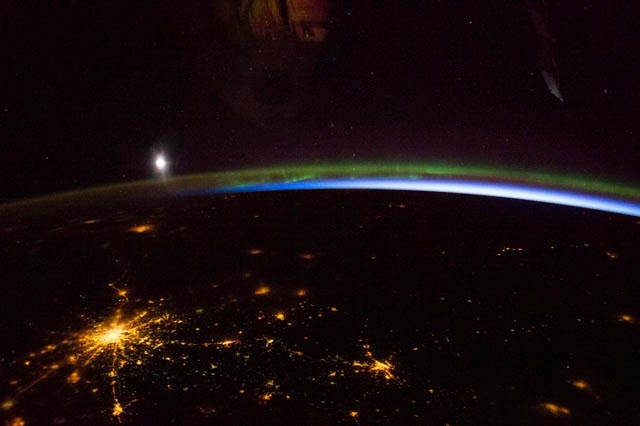 NASA now has almost 2 billion photos stored up at, and about 1/3rd of them were taken at night, which in the space flight biz is whenever you're on the dark side of the Earth. But unfortunately in all their training our camera-happy astronauts have never learned to jot down what it was that they were trying to capture for posterity. The end result is that we now have 666 million high tech photos of black. Black with a splotch of yellow and white in the middle, and no idea what they're of. Then there's the fact that until 2003, they were mostly blurry. And so now, citizens of planet earth, a lonely space agency turns their eyes to you and asks for your help. They figure that if you happen to live in that blotch of yellow and white you're more likely to recognize it, or at least can tell the difference between that and a random picture of some stars. Computers are lousy at doing that but we humans are great, so rather than building a robot to do this NASA needs your eyeballs. But if you don't feel like doing that job, the also have some nice grunt work for you sorting photos into buckets. Interested in widening the frontiers of knowledge? Sign up at www.CitiesAtNight.org.